Recognized as one of the top stylists in the United States, Hope is the founding partner of Salon Luxe and serves as the Creative Director for the business. In addition to managing the salon business, steering the creative direction of the salon, and directing the Apprentice Training Program, Hope works behind the chair daily as a Master Stylist. Her distinguished career has given her the opportunity to work with some of the top salons and stylists in New York, Los Angeles, and Chicago. During the past fourteen years, she has also worked as an educator with Bumble and bumble New York. Over the years, Hope has earned numerous national awards and recognition for her talent and expertise in cutting and coloring hair. She has been recognized in national publications such as Modern Salon, Salon Today, and American Salon for her professional work as a stylist, and for her leadership in the industry. Hope has also been featured in Salon Today Magazine and in American Salon for her Apprentice Training System and her commitment to developing and growing young talent in the beauty industry. Hope works closely with the creative teams at Oribe, Kerastase Paris, and Bumble and bumble, which gives her an inside look at trends as they are developing in New York, Los Angeles, and Europe. Hope's connections and friendships with legendary salons and iconic stylists enable her to bring a truly unique perspective on fashion, trend, and technique to Omaha and the Midwest. Hope brings an exciting energy to the salon every day, along with an unyielding passion for giving clients the finest precision hair cutting, coloring, and artistic styling services. One of the elite stylists in the beauty industry nationwide, Stacy has dedicated her career of 10+ years to advanced training and education, working in the elite salons of the beauty industry. Early in her career, Stacy trained as an Apprentice under Hope and the two have worked together ever since. Stacy combined hard work with natural talent and was an overnight success, rising to rockstar status in the industry within a few short years of graduating from hair school at the College of Hair Design in Lincoln. Stacy takes advanced education seriously, and is closely involved with elite salons and education venues in New York City. Working closely with the editorial teams at Oribe and Bumble and bumble, Stacy has made numerous trips to New York City for advanced hair ateliers at the Oribe studios, and for advanced training at Bumble and bumble University. Stacy is continually traveling to New York and Chicago to spend time with the top salons of the hairdressing world, and to gain unique perspectives on evolving trends and techniques. 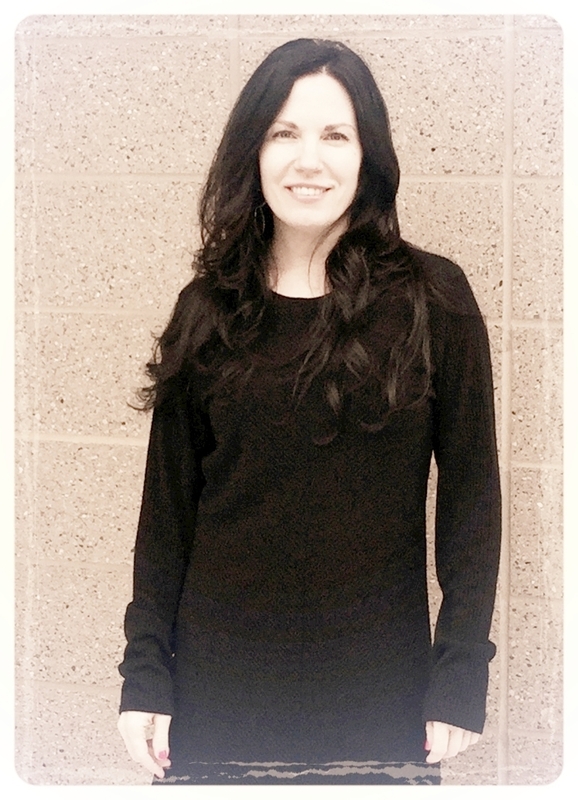 At Salon Luxe, Stacy works as an educator assisting with the salon’s Apprentice Training Program. She brings invaluable leadership to the salon. Through her constant commitment to advanced education and training, Stacy is one of the elite stylists in the industry nationwide, and offers exceptional expertise for her clients in all areas of cutting, coloring, and styling hair. Chenice is one of the top professional stylists in the Midwest, and brings an exceptional level of talent and expertise to her work behind the chair. Chenice joined the Salon Luxe team straight out of hair school at Xenon International Academy and has worked in the industry for 5+ years. She completed the Luxe Apprentice Training Program, which has been recognized as one of the best (and toughest) apprentice training programs in the country. Chenice combines a natural talent for hairdressing along with a serious commitment to training and hard work. Her dedication to her craft has quickly made her one of the top professional stylists in the Midwest. A perfectionist in everything she does, Chenice delivers exceptional precision and artistry. Through the Salon Luxe education system, Chenice is closely connected to New York City and works closely with the editorial teams at Oribe, Kerastase Paris, and with Bumble and bumble New York. Chenice loves her travels to New York City and is passionate about advanced training at the Bumble and bumble University and working with the creative teams at Oribe and V76. A rising star in the industry, Chenice has quickly established herself as an elite professional stylist with exceptional expertise in the art of cutting, coloring, and styling hair. Rachelle has combined natural talent with relentless hard work to quickly become one of the top professional stylists in the Midwest. One of the hardest working stylists you'll ever meet, Rachelle joined the Salon Luxe team straight out of hair school at the Capital School of Hair Design and has 5+ years of experience in the industry. Rachelle is an invaluable member of the team, working as a stylist daily behind the chair and also serving as the Assistant Manager for the salon. Rachelle completed the Luxe Apprentice Training Program, which has been recognized nationally as one of the best (and toughest) apprentice training programs in the nation. Rachelle was born with a natural talent for the art of hairdressing, and she has worked hard to develop her technical skills and achieve the highest level of expertise in cutting, coloring, and styling hair. Rachelle is a fearless hairdresser who is never afraid of a challenge. Her fearless attitude combined with her passion for hard work has made her one of the top rising stars in the industry. Rachelle embraces our professional culture and is closely involved with our education connections in New York City. She works closely with the creative team at Bumble and bumble in New York City, and with the creative teams at Oribe and Kerastase Paris. 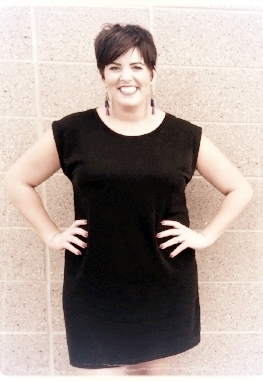 Rachelle's dedication to training and education has quickly made her one of the most talented professional stylists in the Midwest. Rachelle truly represents our commitment to excellence, and offers exceptional expertise in the craft of cutting, coloring, and styling hair. Serving as the Business Director for Salon Luxe, Jeff brings an extensive background in business to the team, which provides the salon with unique advantages and perspectives. Jeff graduated from the University of Nebraska with a B.S. in Business Administration, earning a triple major in Business Management, Finance, and Economics. Following his undergraduate work, Jeff studied at Oxford University, in Oxford, England, where he completed a program in International Business. Jeff's studies at Oxford included an extensive curriculum in business and economics under Dr. Martin Holmes, who served as an economic advisor to Margaret Thatcher, during her time as Prime Minister of England. Jeff completed the Oxford International Business program with a straight A+ grade point average, finishing at the top of the program class. During his collegiate years, Jeff worked as an Investment Analyst and Portfolio Manager for Schwendiman Funds and worked closely with Dr. Gary Schwendiman, the Dean of the UNL College of Business. Jeff also served as an Editorial Columnist for the Daily Nebraskan, writing a weekly editorial column featuring perspectives on politics and business. Following his work at Oxford, Jeff completed an executive development program with Berkshire Hathaway in Omaha, Nebraska, and joined Berkshire's senior management team as one of the youngest professionals ever to reach such a rank. During his time at Berkshire Hathaway, Jeff managed several different insurance units. He went on to create and build from scratch an insurance company business with a specialized niche focus within the commercial property/casualty insurance industry. Under his direction, this insurance business went on to produce over $500 million in annual revenues with one of the highest profit margins in the industry, accounting for hundreds of millions in cumulative profits under Jeff's tenure. Since his time at Berkshire Hathaway, Jeff has moved on to create and direct a strategic consulting company, Red Prairie Ventures, and an entrepreneurial holding company, Bleecker and Bank. The consulting firm specializes in various consulting activities for insurance companies, venture capital investment firms, and also works with business ventures in various startup and growth phases. Out of all of his professional endeavors, Jeff truly enjoys assisting in the management of the Salon Luxe business, which offers a unique opportunity to explore his creative side.